2015 will be the year in which Ateliers deMonaco (dMc) will start producing its own in-house flyback chronograph movements, adding yet another to our roster of in-house made movements and serving as the basis for the new released Admiral collection. As per our innovation tradition of making complications work simpler and better, our patented manufacture flyback chronograph, which measures a succession of elapsed times, eliminates many superfluous repetitive operations. On ordinary chronographs, the buttons must be pressed three times in succession to measure successive intervals: once to stop the chronograph, once to reset it to zero, once to start again. With the flyback function, pressing the “flyback” button once stops timing the first interval and resets the hand to zero. The chronograph hand starts again the instant the button is released. this mechanism is unlike other chronographs directly actionned by the 4 o’clock pusher. The advantage of this mechanism is that it has a multi function Flyback Hammer. This Flyback Hammer is programmed to action the disengage the chronograph clutch wheel, engage the brake, turn the chronograph second and minute wheel. The honorary title “Admiratus Admiratorum” (the most admired of the admired) was believed to have been given during the reign of the Norman ruler Roger II (1095–1154) to his naval commander George of Antioch. The word “admiral” has today come to be almost exclusively associated with the leading position in most of the world’s navies, equivalent to the army rank of General. Still today, appreciated by pilots for the time it saves, this complication is particularly admired for its use in navigation, racing and by commanders of any challenge alike! 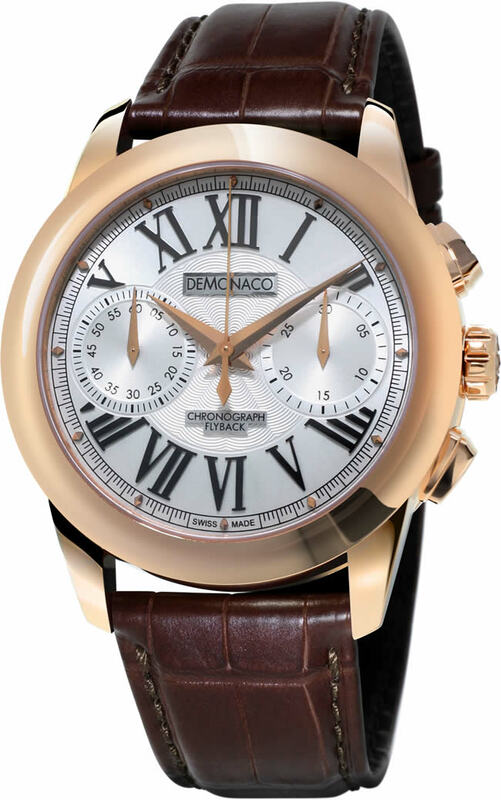 Our Philosophy – deMonaco was founded in 2008 to let the next generation watchmakers create timepieces of exceptional quality, with the latest innovation and the rarest, most exquisite and robust materials; to go far beyond what was considered possible. Our dream is one of relentless reinvention and commitment to bring you the extraordinary: we call it Nouvelle Horlogerie! We do this not only by putting something truly exceptional on your wrist but also by ensuring your deMonaco timepiece is more than an object of desire, a true reflection of your individuality. What unites us with our clients is the belief that life is not only about luxury, but luxury sure is life! 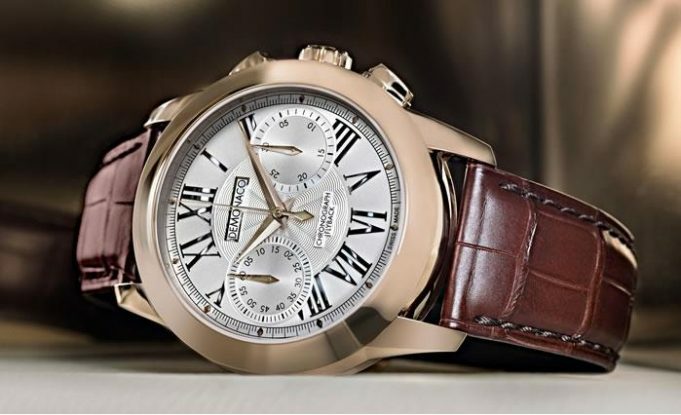 The Admiral Chronograph is made in a limited edition of 88 pieces in each version (18Kt rose gold or 18Kt white gold). Please contact betty@ateliers-demonaco.com, or visit us next March 19-26, 2015 at the Baselworld Fair, where we will be located in Hall 1.1, stand B79.